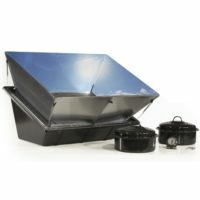 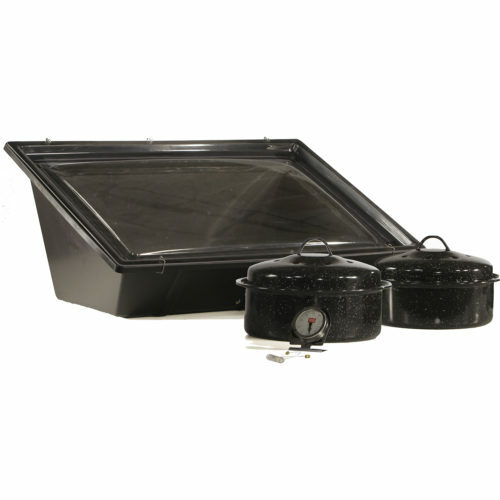 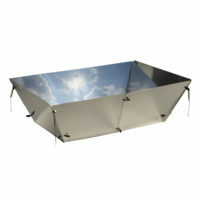 Purpose-built by solar-cooking experts for maximum efficiency, durability, and ease of use, the Sport Solar Oven simmers like a crock pot and bakes like an oven. Oven temperatures typically range from 210º – 260º F, maxing out at 300º F. In other words, hot enough for slow-cooked goodness (food cooks starting at 180º F) but not hot enough to burn dinner. 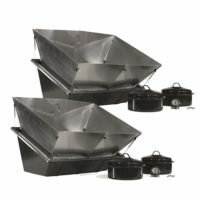 The Sport is lightweight and portable; weighing just 9 pounds and measuring 12-1/4″ high, 27-1/4” long and 17” wide.